GUNMETAL PETITE FIGURE EIGHT STYLE CHAIN. FINISH: Gunmetal. BASE: Brass base. 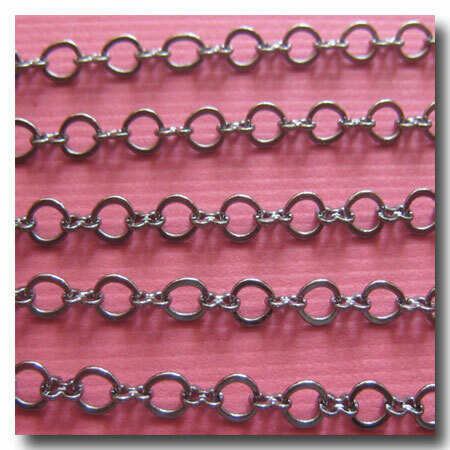 STYLE: Flat Link Chain with Figure eight connectors. Closed links. WEIGHT: Light. DIMENSIONS: 2.9mm x 3.5mm. Also AVAILABLE in: Gold Plate 1-115, Silver Plate 1-167, Antique Copper 1-196 and Bright Copper 1-098.